Africa is home to a stunning variety of birds and most of our regular safari destinations support hundreds of different species. Many first time safari goers focus solely on seeing the Big Five and don't realise what a bonus and delight the continent's birds can be with their spectacular colours, incredible variety and sometimes incredible numbers. For example, discovering about the unique and incredible nesting behaviour of the hornbill and innovative nest making abilities of weaver birds shows that there can be so much more to a safari than just the large mammals. On safari there will be days when the larger, more iconic animals move out of the area or become elusive, but birds are everywhere and an interest in these wonderful creatures means there will never be a dull moment on safari. And while you are quietly bird watching, those rare mammals you travelled halfway across the world to see often make a surprise appearance! For bird watchers, the best time to go is often during the summer green season (when safari rates are most attractive), when many of the migrants are in Africa and all the birds are sporting their beautiful breeding plumage. Some of the prime bird watching destinations are also top game viewing locations, so you do not need to journey to remote areas to enjoy Africa's bird life. 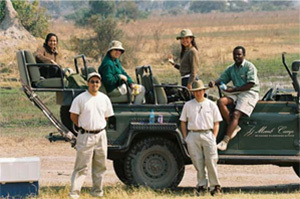 Botswana's Okavango Delta, one of the best game viewing areas in Africa boasts over 450 species. In Kenya, the famous Maasai Mara, which annually hosts the Great Migration, has over 470 recorded bird species. But if it's places off the beaten track, away from the tourist hordes, that you are looking for, then Tanzania's Selous Game Reserve or Ruaha National Park, with an extraordinary diversity of well over 500 species, can be very rewarding. 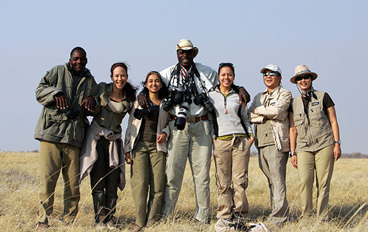 In Zambia, the game rich Kafue National Park claims over 500 recorded bird species, and South Luangwa National Park, one of the best destinations to experience walking safaris, contains over 400 species.